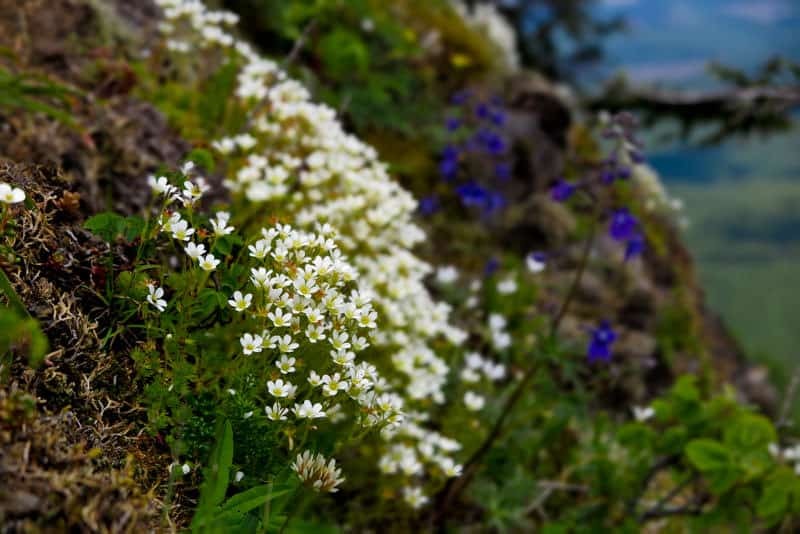 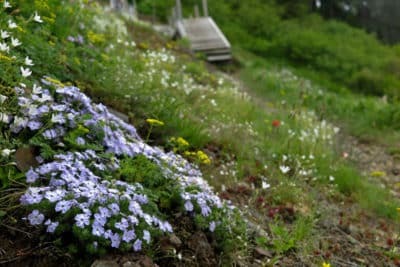 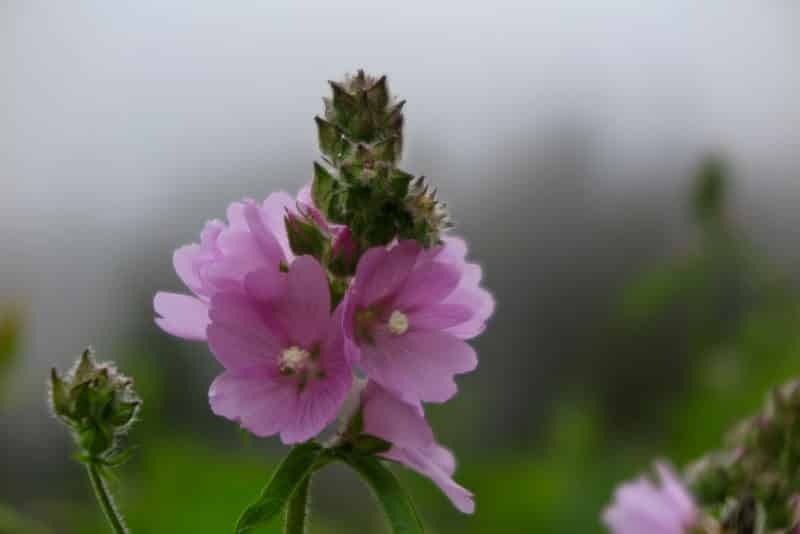 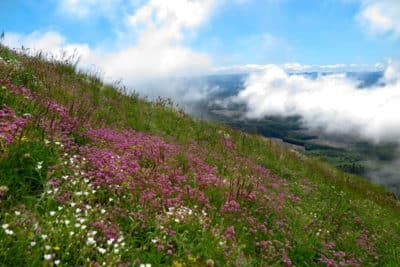 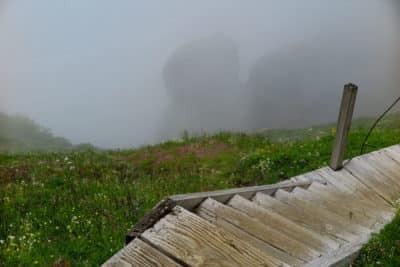 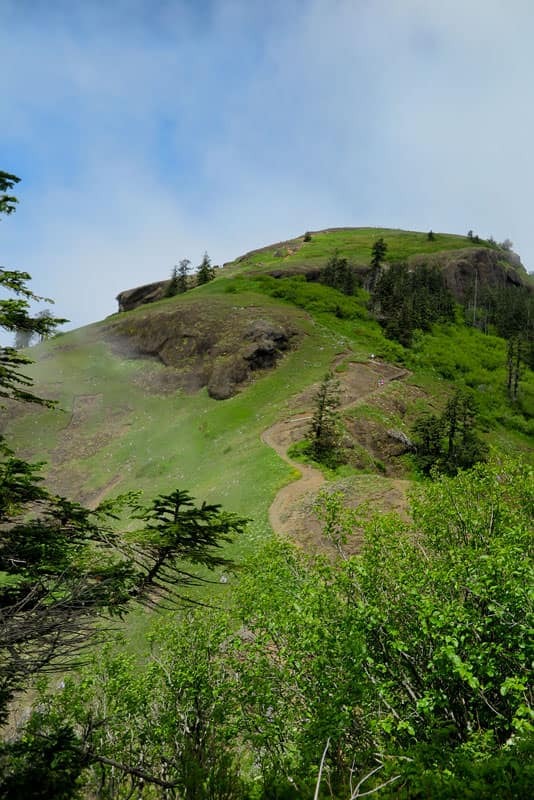 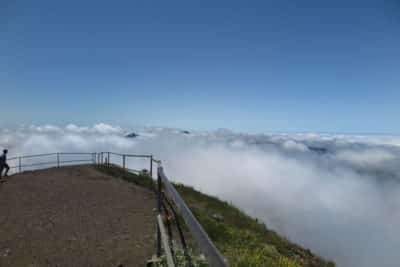 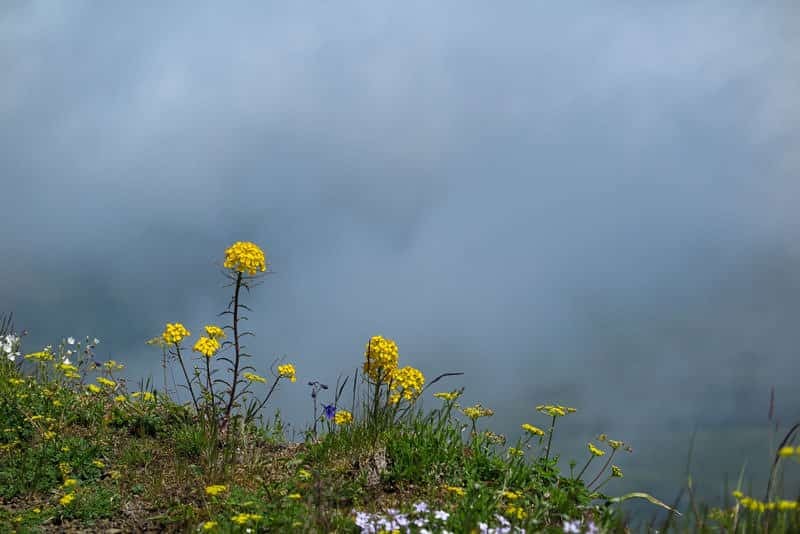 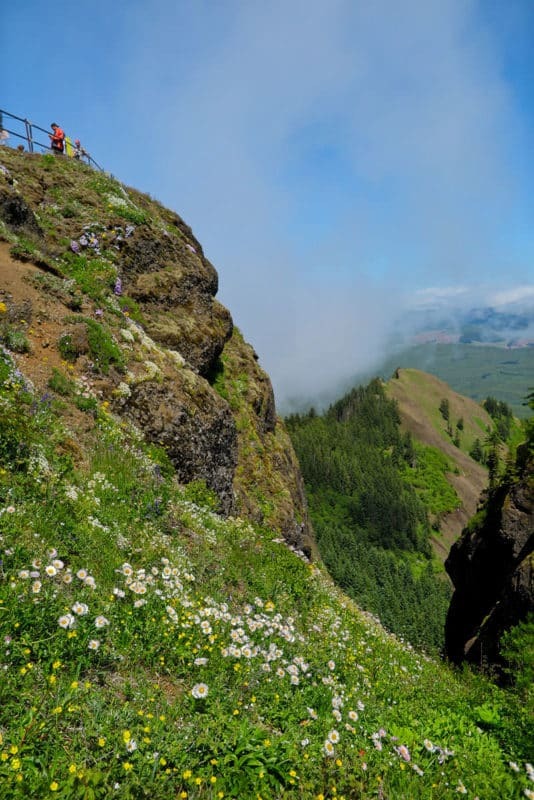 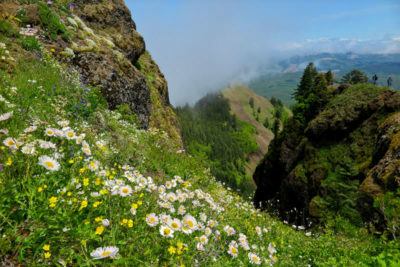 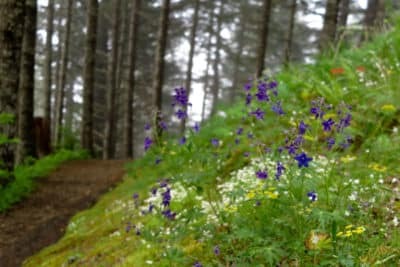 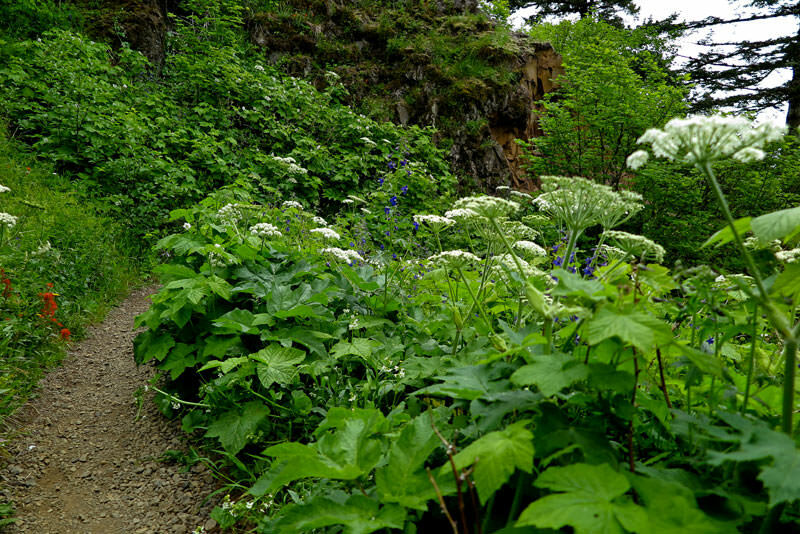 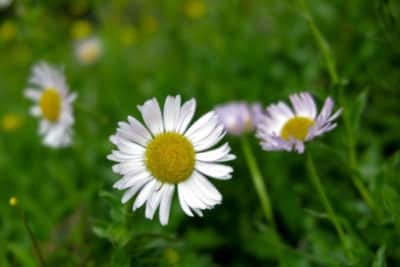 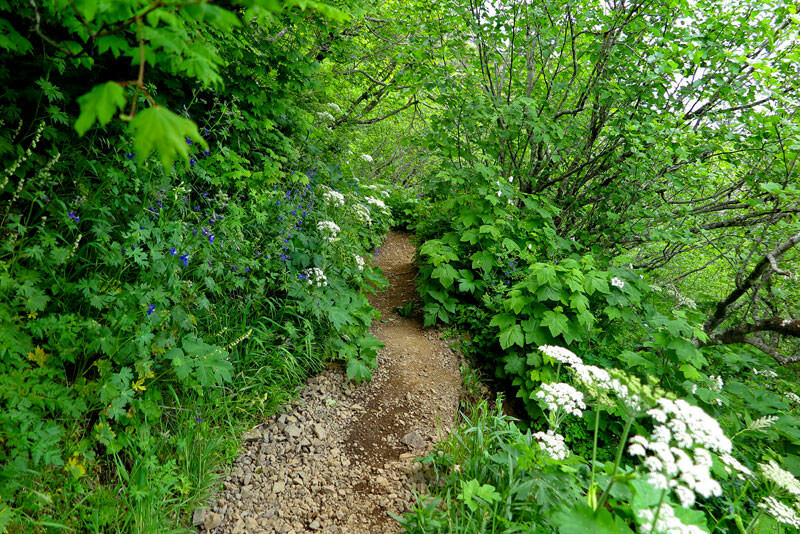 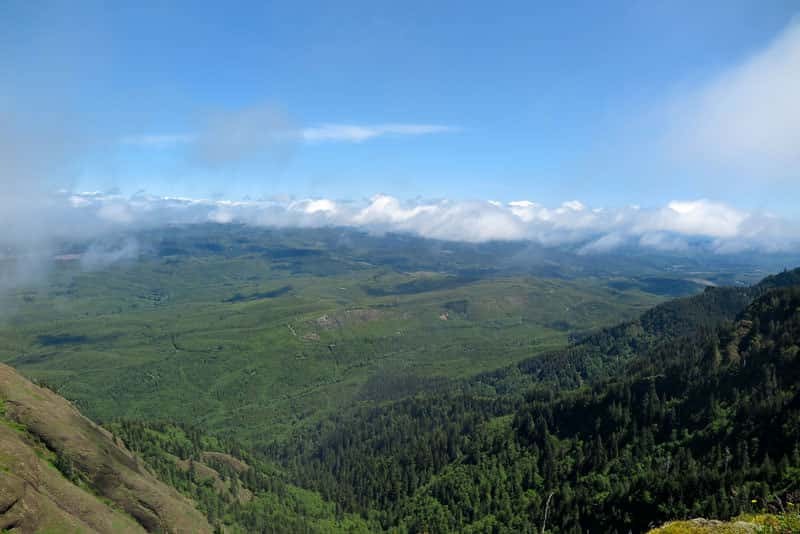 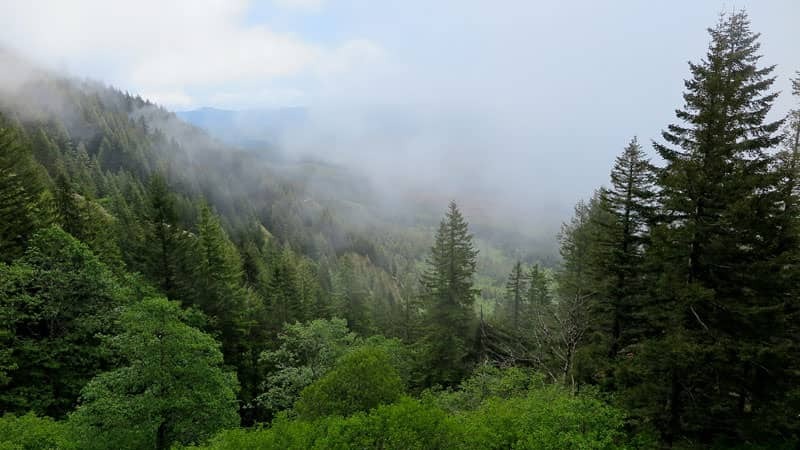 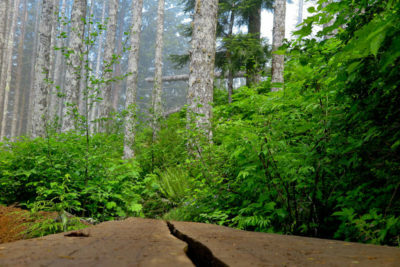 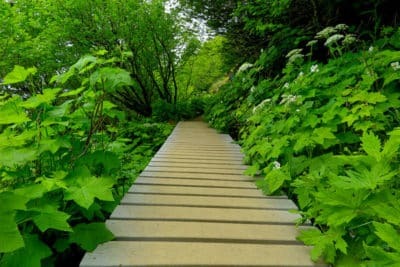 Saddle Mountain – in the Coastal Range – has more wildflowers than any trail in the Gorge. Huge variety too. 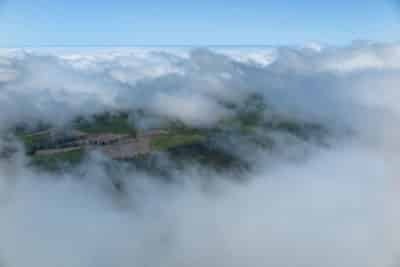 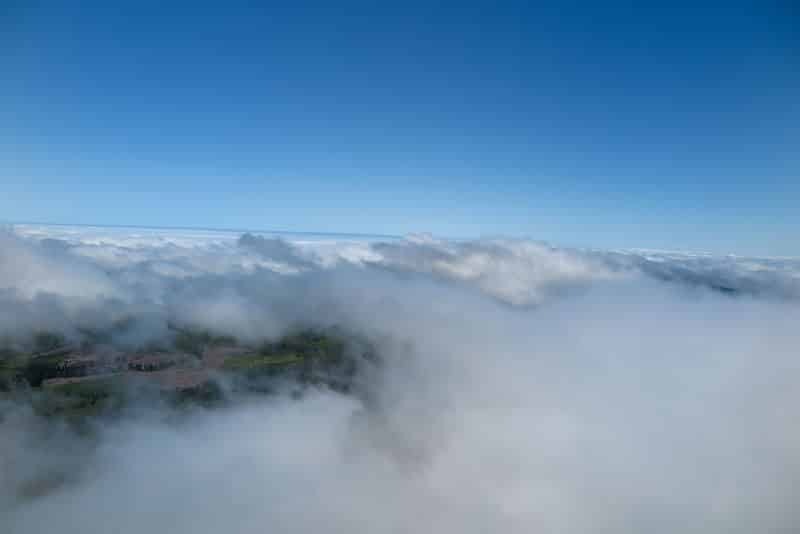 The day was foggy in areas, sunny in areas, and windy. 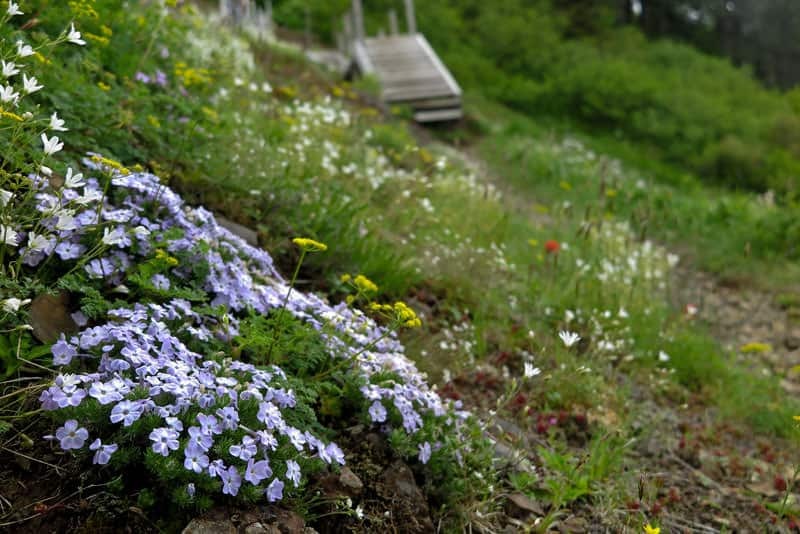 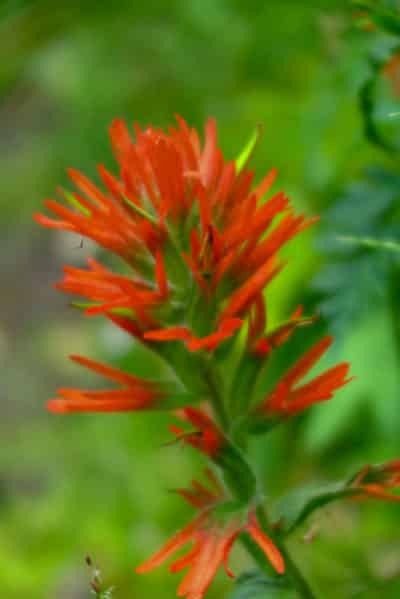 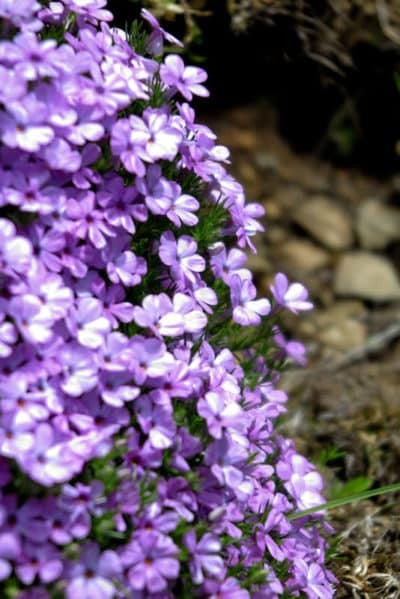 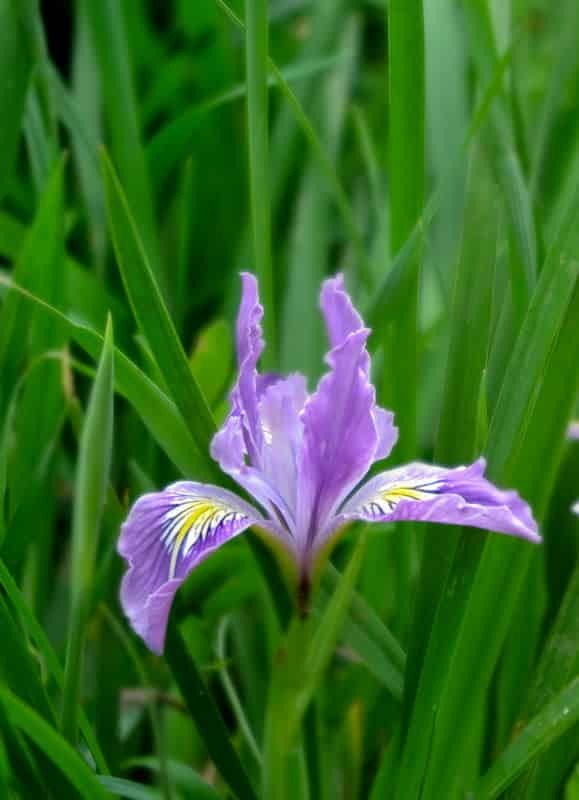 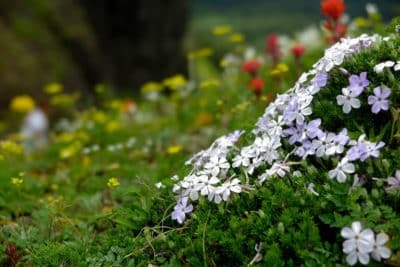 The trail is crowded like Dog Mountain – but way more worth it is you are a wildflower fan. 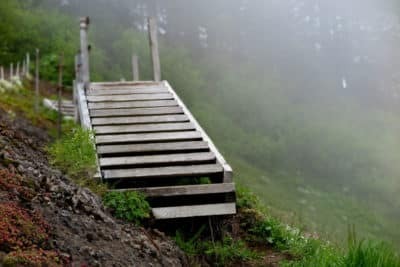 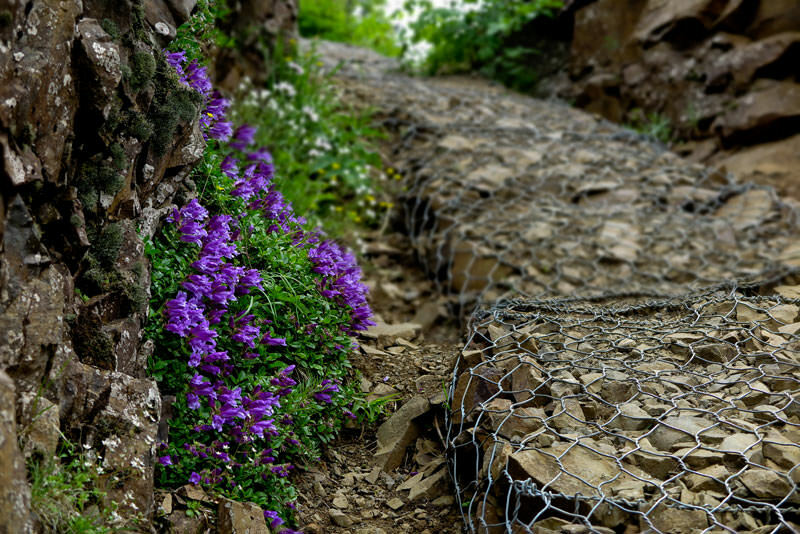 There has been extensive trail work done by adding wire over the trail in steep places – this provided stability and traction. 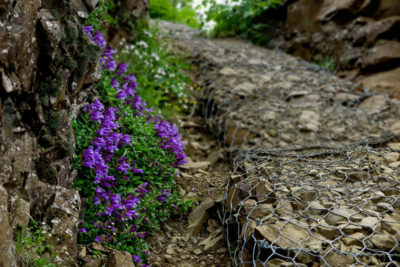 Without the wire this would be a dangerous trail. 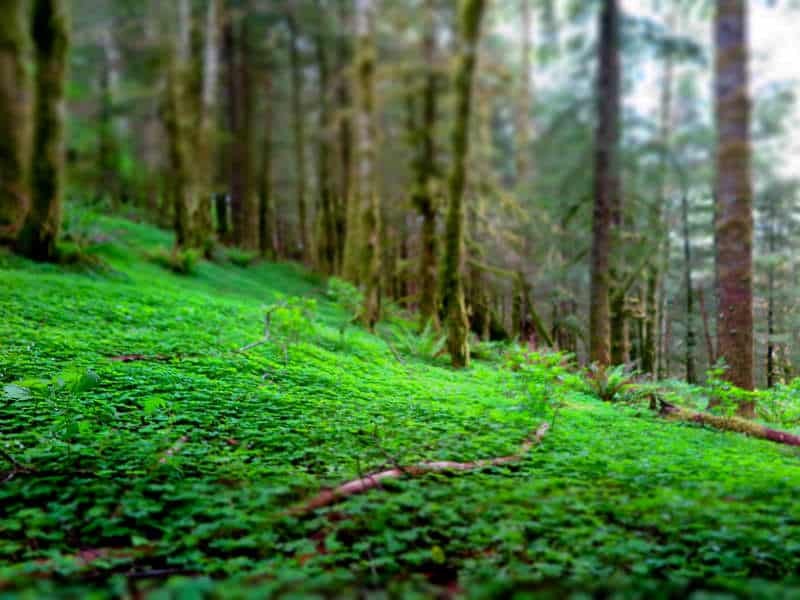 Near the bottom the forest is covers in Oxalis – and I mean carpeted. I have never seen a forest covered in ground covering like this one. It was almost like a fantasy setting (see image). This hike has everything except a waterfall. Well worth the drive to the coast! From Portland, take Highway 26 west for 60 miles, and turn north just before milepost 10 onto Saddle Mountain Road. 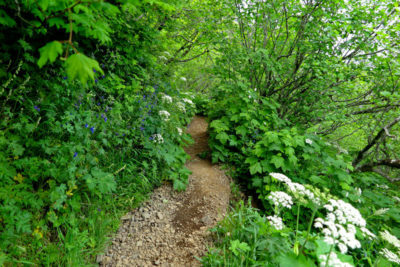 Go 7 miles on this paved, but bumpy road where it ends at the trailhead.